Painting music cards and arts related subjects is close to my heart. The positive energy seems to flow easily into these images. 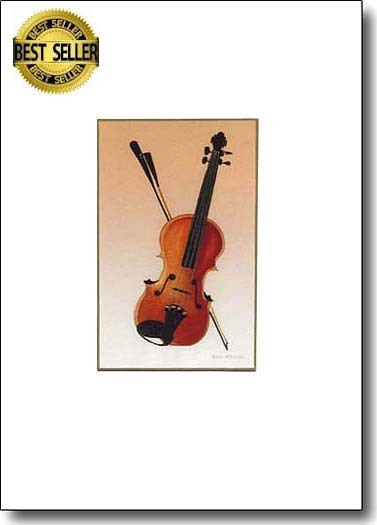 My cards have been sold in several Symphony Gift shops and at Carnegie Hall. 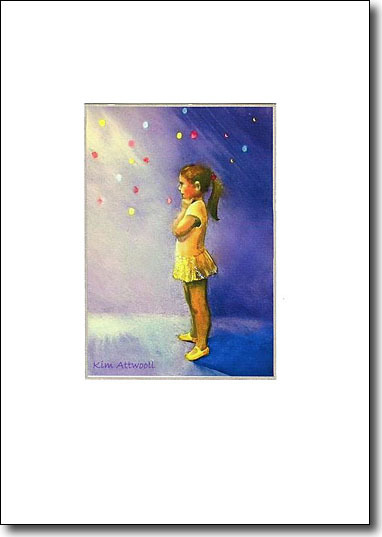 Why not take a look through these cards and see how they can inspire. This was painted on a trans Atlantic flight when I had plenty of time to focus on it. I love it when people tell me that it is framed. 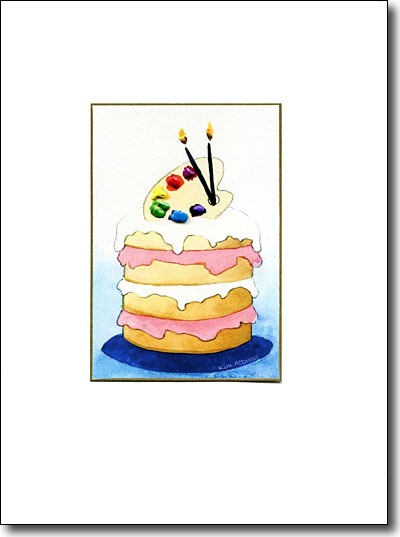 Send this to a creative friend for their birthday, they will love this artist card. While in New Orleans' Preservation Hall I did numerous 10 second sketches and this handsome musician was created. 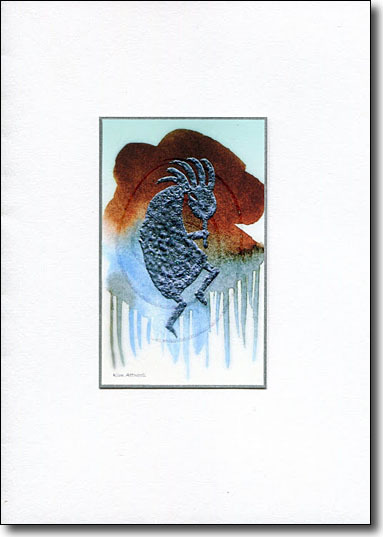 I embellish the card with a neon outline which gives it an edginess. 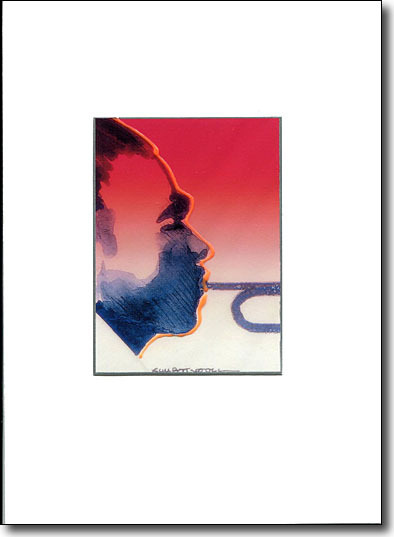 My inspiration for this image came from teaching about analogous colors, neighbors on the spectrum. While I can't play a piano, I can admire those who do. 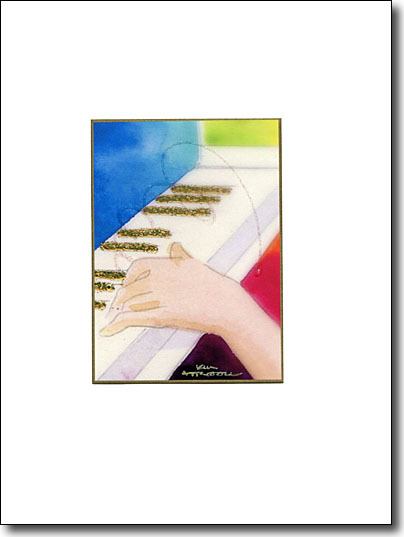 This music card was one of the earliest in the series. A Native American icon. 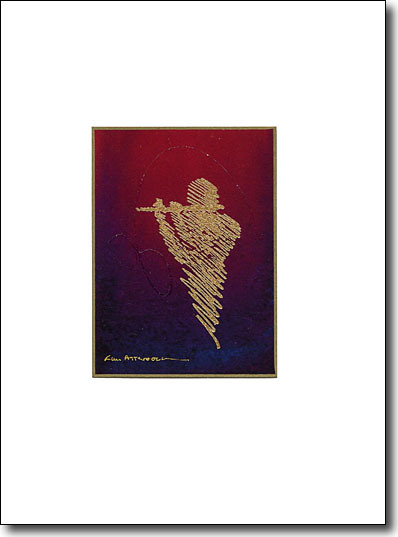 The flute player is associated with merriment and partying. I know he'll mean a great deal to the chosen recipient. 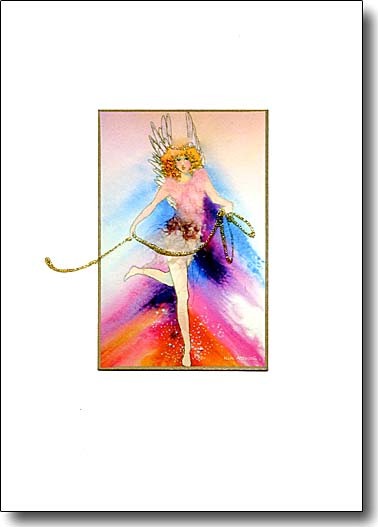 A basic shape in gold on this rich watercolor is enhanced with sparkle swirls. A music lover's card for sure! 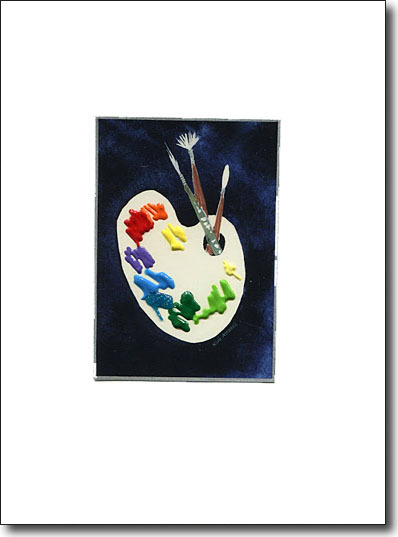 This simple art greeting card is piled high with pigment. What artist wouldn't treasure this greeting. This romantic painting is the perfect missive to send concert tickets in. What a lovely way to start the evening. Quilters are very patient and talented artists. This colorful crazy quilt is a homage to their craft. 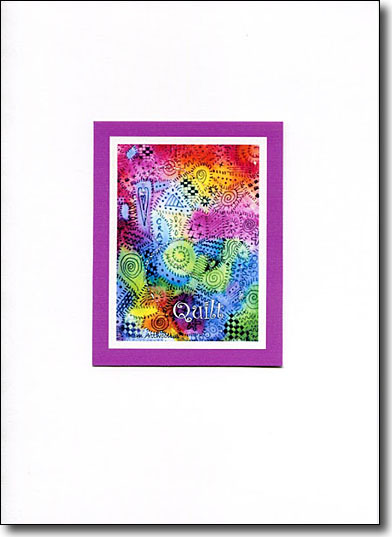 Delight a quilter with this all occasion card. 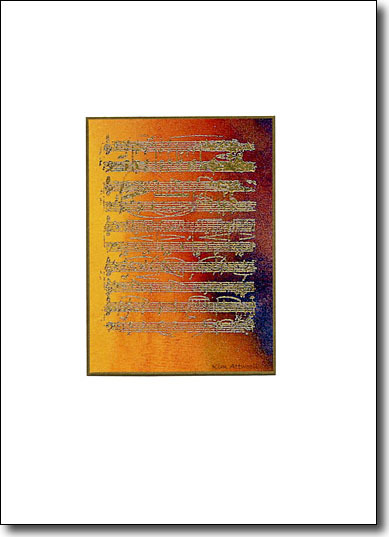 Glowing music is a gold embossed stamp on a vibrant watercolor. 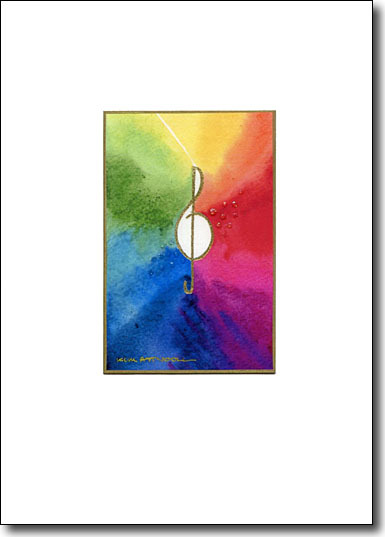 Music lovers will love this card. Perhaps it could be framed in gold and given as a gift. 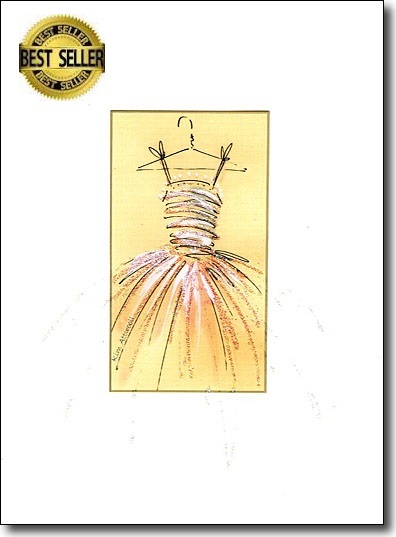 The lyrics by Tom Petty and the hologram sparkle on the dress make you want to dance! I think this could be a very romantic card. Waiting in the wings to prance across the stage is this tiny dancer. Her tutu is sparkly and her tummy glistens from the spotlights. 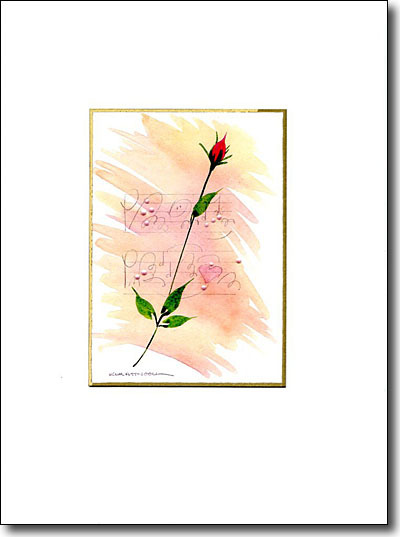 I used to construct these cards individually.. dying the rice paper with tea and painting the roses on it. While assembling pretty collages is simplified now, the effect is still as memorable with the enhanced prints. My sheet music is whimsical. Notice the hearts and happy faces that sit on the lines. 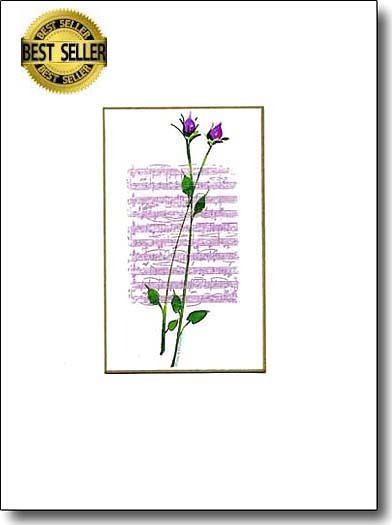 A long stemmed rose completes this unique musical card. 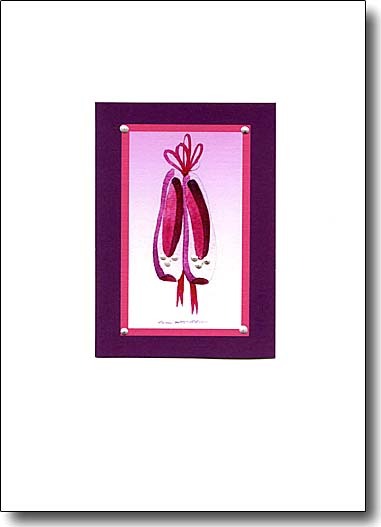 Dancers will love this card devoted to those slippers that become an extension of the ballerina's legs. 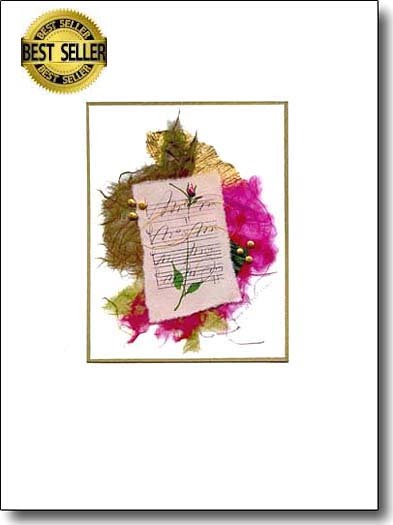 A graceful dancer trailing a golden garland is a lyrical image to celebrate any occasion.